Tourmaline, Titanium, Ionic what does it mean?! Ask US! 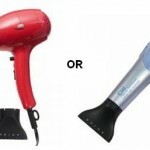 Which CHI Hair Dryer Turbo or Nano? A Hair Dryer that Won't Break the Bank!